All products (“software”) released by Codeboxr is tested thoroughly on all the versions for the CMS they are intended for. 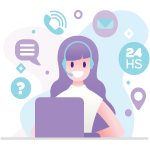 On top of that we are also happy to provide additional technical support (“free support” for basic troubleshooting, and “paid on hourly basis” for extended support). Unlike physical goods, electronically distributed software and software licenses can be easily duplicated. Once we have distributed a release version to the customer, the sale is final, and you may not return the software for a refund or credit without any valid reason. Please be cautious and make sure you know what you are purchasing. In special cases due to inherent problem in client’s end such as a conflicting plugin / module, corrupted components of CMS, a Product may not work. In such cases, once after basic troubleshooting is done, we may refund 100% . Finding a bug in our products is not a reason for a refund. If you do find bugs, please report them so that we can fix them. Use our contact page to any bug report, we will get back to you as soon as possible and maximum 24 hours. We consider Friday and Saturday as weekend and may respond on the next available day asap, please have patience. 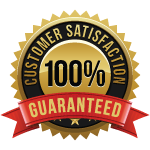 100% refund but we recommend you contact with us about any problem. Provide all necessary information about your purchase like the first name, last name , paypal transaction id (email), transaction date etc.